Instagram is one of the most popular social media platforms, with more than 400 million active users. But unlike their engagement with Facebook and Twitter, some businesses just cannot quite grasp how to use Instagram as a marketing tool. Posting images is easy, but driving traffic back to a business' website is a different animal entirely. 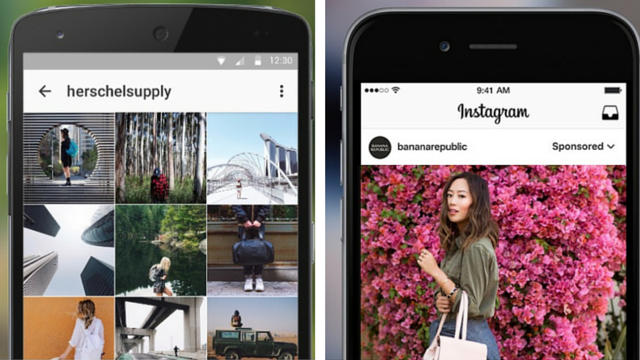 That is about to change, thanks to new business tools that Instagram announced on its blog last week. Businesses will now have access to features not available to regular accounts. Let us take a quick look at these new tools, which will shortly become available. If you want users to easily identify your Instagram account as belonging to a business, the Business Profiles feature is one you will want to take advantage of. In addition to giving customers directions to your business with a single button tap, you can also assign a contact call to action. Choices are a text message, phone call or email. While the posts will look identical to those coming from regular accounts, the actual profile page will be the only element that will change. This new change fills a major void that has been frustrating business owners from the beginning: how to seamlessly take interest sparked on Instagram and quickly convert that into an action. Now, if consumers happen to see something that they like on a clothing boutique Instagram page, for example, they can contact the business with a single tap and inquire about an item or make a purchase. You will also need to switch to a business profile in order to gain access to the two additional features below. Following in the footsteps of Twitter and Facebook, Instagram will now offer business users analytical data that shows how their content is performing. You will be able to see reach and impressions data, as well as data about demographics—location and age—for each of your posts. The data would not be available via the Instagram app—you will need a business Facebook page linked to your Instagram account in order to access the information. Analyzing your users’ demographic and behavioral data will allow you to create Instagram content those users are more likely to engage with. While the first two features above would not cost businesses any money, those with a healthy advertising budget can use the new Promote feature to instantly boost top performing posts via paid ads. Instagram will also offer suggestions regarding which posts should be promoted; you can then use the data from the Insights feature to identify your true top-performing posts, based on your target market. You can customize the targeting options and have full control over how much or how little you want to spend to promote your content. Instagram, along with Snapchat, is emerging as the most popular social media platform, so it would be a wise move to get your business established on Instagram now, before these new options are released later this year.